It’s hardly surprising that people are afraid of the crocodile. 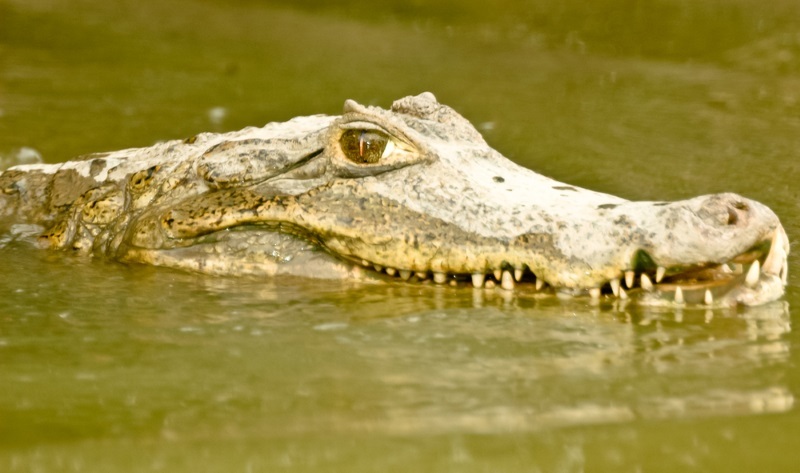 The crocodile is a reptilian predator that’s been around for 83.5 million years. 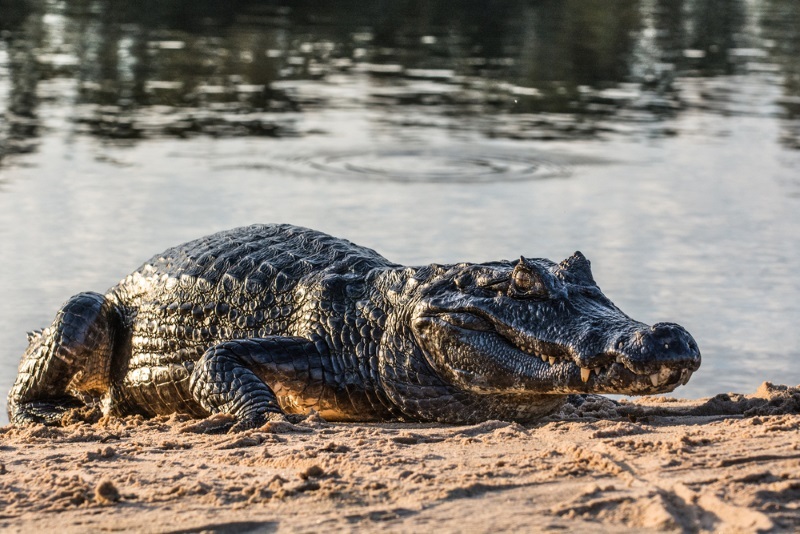 It’s also one of the worst man-eaters in the world, with the saltwater and Nile crocodiles being responsible for more deaths than any other predator that attacks humans for food. The adult slender-snouted crocodile typically measures between 3.3m and weighs 205kg. 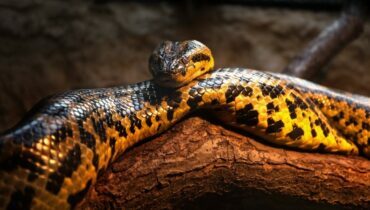 While they generally eat fish, snakes and amphibians, they have exceptionally sharp teeth and are known to be opportunistic, and have developed a reputation for aggression among certain African tribes. The tomistoma grows to an average length of 4m and weight of 210kg and is unusual for the size of its females. Crocodile females are generally much smaller than the males, but a 4m long female tomistome was verified as having killed and eaten a fisherman in Kalimantan in 2008. The mugger crocodile, grows to an average length of 3.3m and an average weight of 225kg. The mugger crocodile prefers to hunt by ambush. It will hide in murky water and wait for prey to approach, before seizing its victim, dragging it underwater and waiting for it to drown. 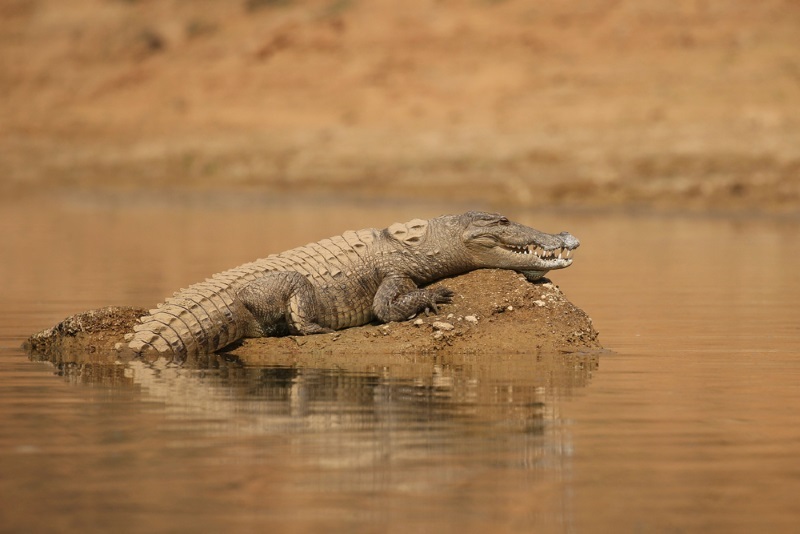 The mugger crocodile is also known to hunt on land, lying hidden near forest trails. The American alligator averages at 3.4m long and weighs 240kg, although the largest verified individual reached 5.3m. 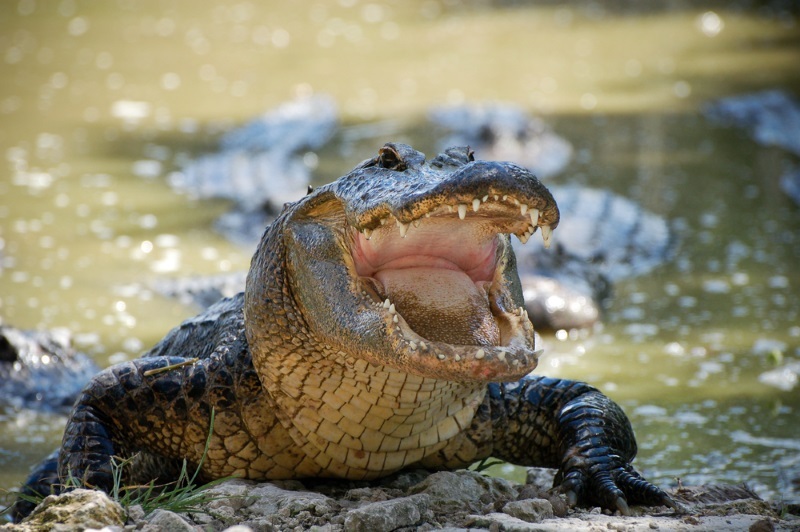 The American alligator has one of strongest bites in the animal world, its force was measured at 9,452 newtons. Despite the strong bite, the alligator has very weak muscles for opening the jaw, and the jaws can be held closed by hand. 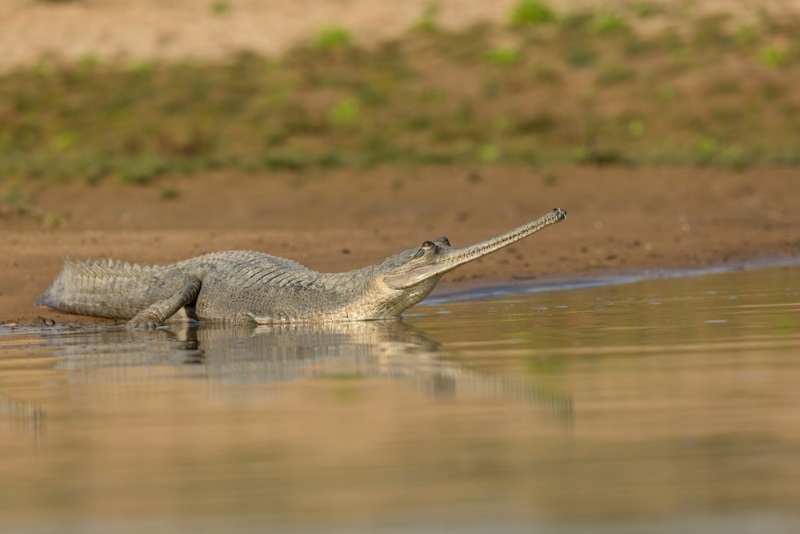 At an average of 4.5m in length, with some reaching 6.25m, the Gharial is one of the longest crocodiles, but it weighs only 250kg on average. They are also one of the most endangered species of crocodiles, with an average of just 235 left in the wild. The American crocodile grows to an average of 4m in length and 335kg in weight. The American crocodile can move on land at speeds of up to 10 mph, in water at 20 mph and is considered dangerous to humans. The average black caiman is 3.9m long and weights 350kg. 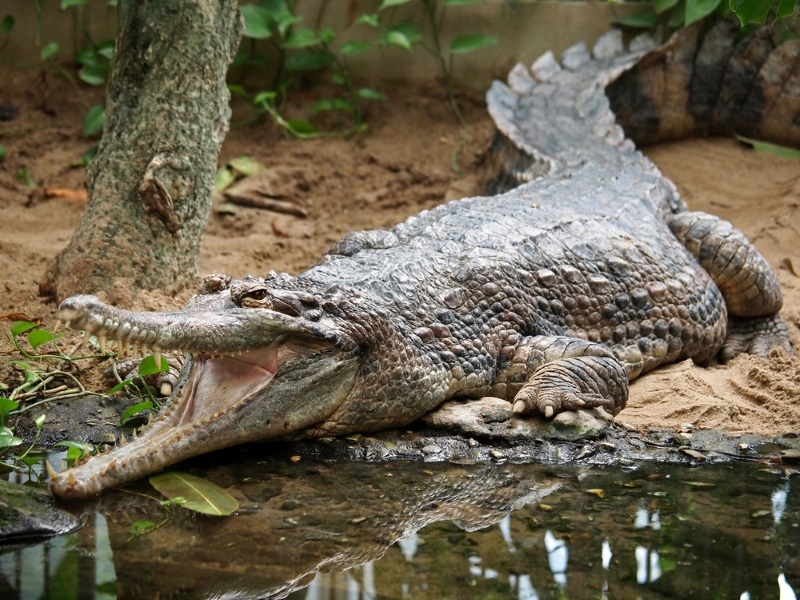 Black Caimans often hunt dangerous prey, such as the piranha and the anaconda. They are not well known for attacking humans, but they are certainly able to. The orinoco is an endangered species which can only be found in Colombia and Venezuela. The average adult is 4.1m in length and 380kg in weight, although it is alleged that they were much larger prior to extensive hunting in 20th Century, with some individuals reported at 6.6m. The Nile crocodile is the second largest of the crocodile species, with a length of only 4.2 m on average, but an average weight of 410kg. The Nile crocodile is an aggressive and opportunistic predator and performs between 275-745 attacks on humans each year, 63% of which are fatal. With an average length of 4.5m, and a weight of 450kg, the saltwater is the largest of all reptiles. Some individuals are known to reach 6.7m and weigh 2000kg. 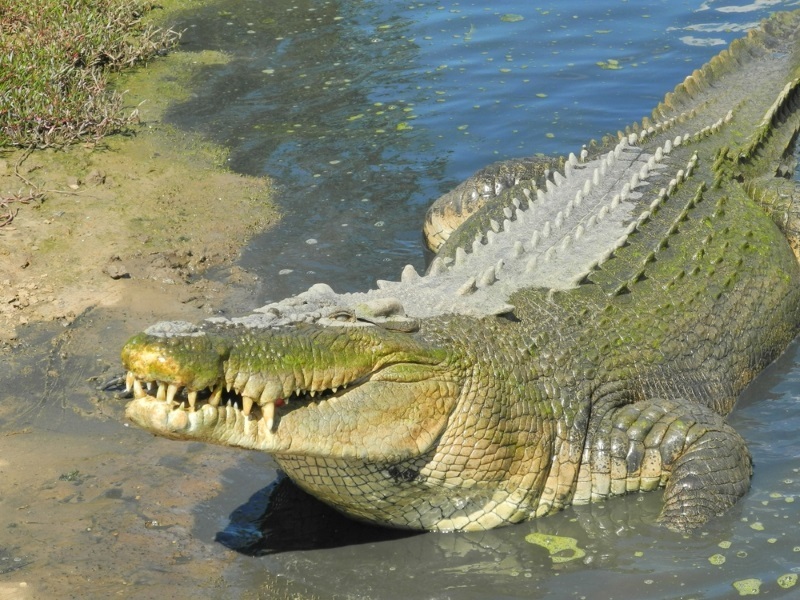 The saltwater crocodile is not responsible for as many attacks on humans as the Nile crocodile, but they are infamous for killing 400 Japanese soldiers in 1945, while they retreated through swampland.